George the dwarf suckermouth catfish and Speckled Jim the shrimp are still alive today! George has been confidently swimming from leaf to leaf and Jim has scurried about, hung upside down from a plant and has made a home in the end of the bogwood log. Busy. I used a magnetic algae cleaner on the tank today and it looks a lot better; there is plenty of algae on the plants for those who want to eat it and I have bought a pellet food for them too, so they won’t starve. All is well in aquarium world. 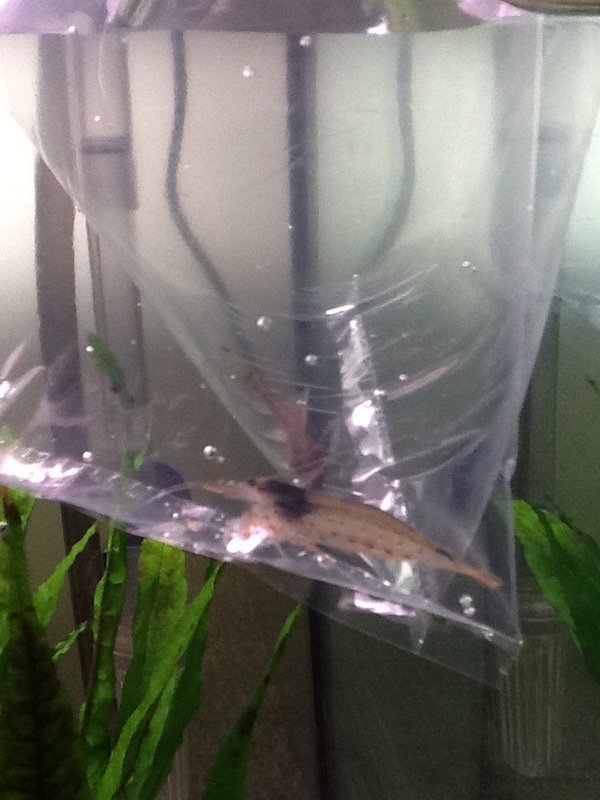 Two new additions to the community are currently acclimatising in bags at the top of the tank. I floated them for 30 mins and have added a little of my aquarium water to their bags. It’s been about 45 mins now so I’ll add some more water shortly. A sudden change in pH can kill fish so I’m being cautious. 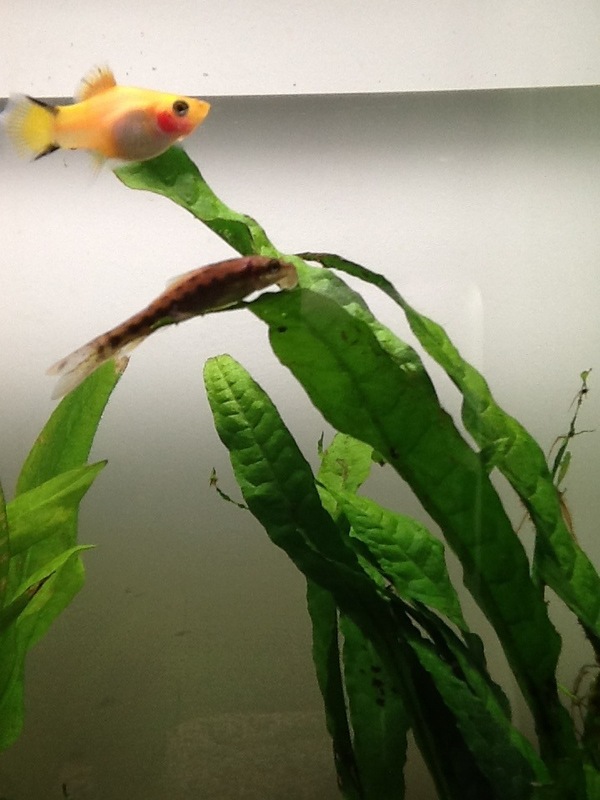 The new fellas are an algae eating shrimp (looks a giant in the picture) called Speckled Jim and a dwarf suckermouth catfish called George. We are getting on famously, obviously we are on first name terms already.